Trim jackscrew easily removed with two bolts through frame. Cable on the RH side of the jackscrew pulley becomes the upper cable at the wear strip/fairlead on the LH side of the frame. Leather wear strip strapped on the #4 to #5 bulkhead cross brace. Jackscrew trim cable on the inner wheel of rear cabin trim pulley. Outer rim of forward cockpit trim wheel interferes with fuel selector shaft. 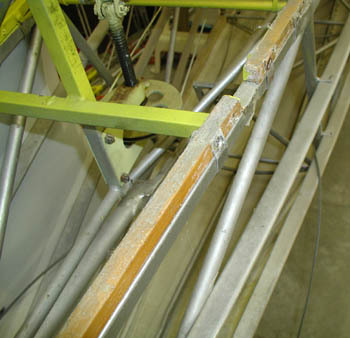 Fairlead used on forward cockpit trim cable. Fairlead attach point welded to fuselage. 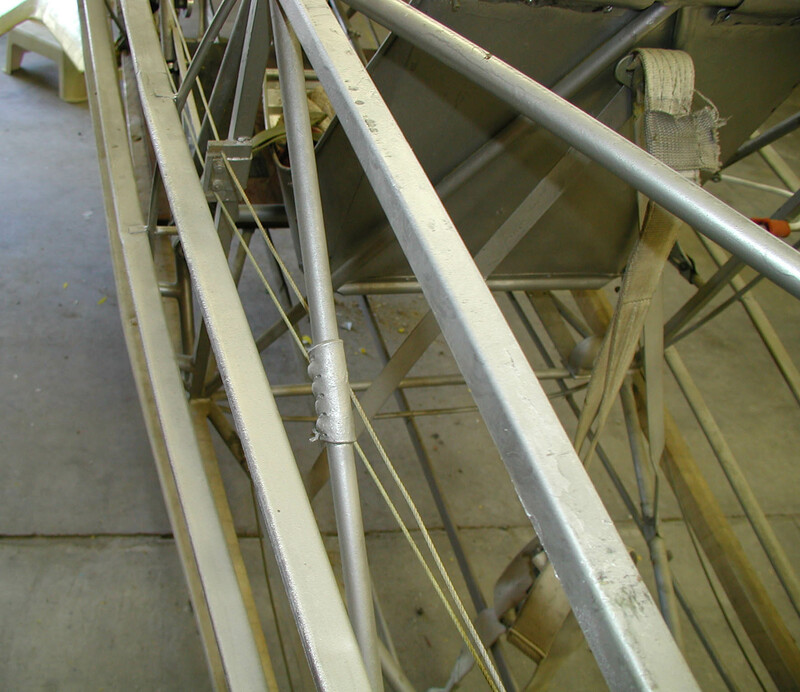 Forward trim cable threaded within frame supports for fuselage longeron support. The support is cut and a slider tube screwed into place allowing removal of cable. See comments in rear cockpit page on throttle/trim assembly. 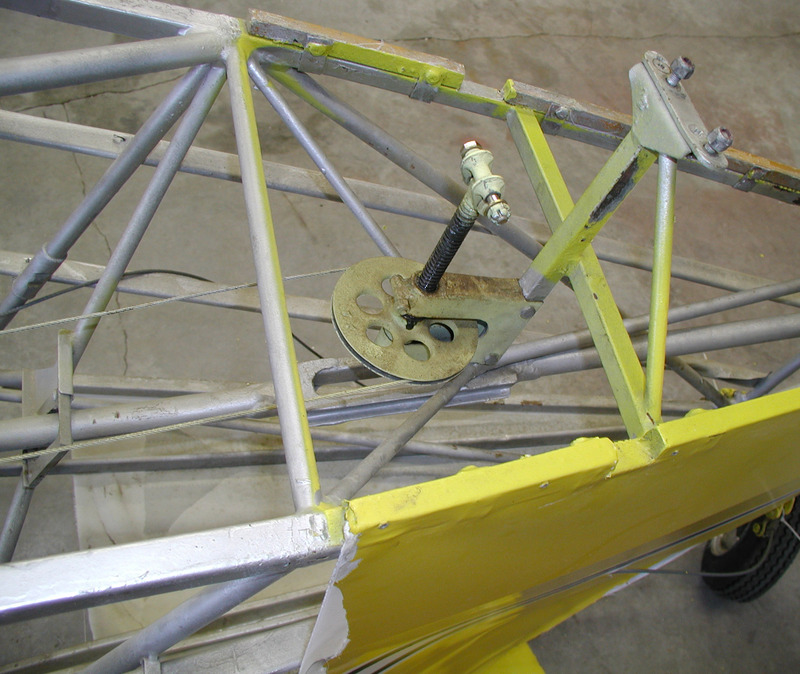 Trim cable fairlead/wear strip and chafe strip on LH fuselage.